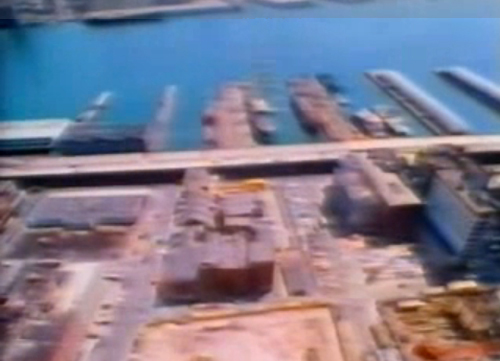 While combing the web for info on the early days of the South Street Seaport's Pier 17, AN came across a Youtube video of Ben & Jane Thompson discussing plans for redeveloping the upland and the piers near Fulton Fish Market. The short video, circa 1981, certainly puts the current debate on SHoP's new design into historical focus, particularly when Ben Thompson speaks of retaining the now long gone market. Solar Cycle. The Dutch dream up a ways to capture latent energy beneath bike tires. Go East Young Man. With the economy in the States still somewhat sour, the good news for West Coast firms is in the East, the Far East, writes AOL's Daily Finance. AIA's Scott Frank spills the goods for Danny King. Walled Out. It was hard to miss the spirited crowd on Chambers Street yesterday as three City Council committees held a joint hearing on Wal-Mart’s proposed move into New York held. Wal-Mart was a no show. The line to get in stretched down the block. And Council Speaker Quinn blasted away. Today's Daily News editorial found the whole drama, well, dramatic. Polar Opposites. Ben Thompson and Paul Rudolph were cut from the same Modernist cloth, under the influence of Gropius, but the two took different paths. One was from the north the other from the south, one standoffish, the other a team player. One a sculpture, the other an entertainer. In Architecture Boston, David N. Fixler explores how their forms function.